Your satisfaction is guaranteed, full refund if not as described. Please visit NY Stamps/Sun Philatelic Inc. Please contact us directly if there are any problems. Our contact info is inside our eBay store, "about the seller" link at the bottom left panel, or via eBay message. Our office for customer service are closed on Wednesday and Saturday. So an email message sent to us after 5PM Tuesday won't be answered until Thursday morning. MINT: Unused with Gum, Maybe Hinged, could be regum. NH: Never Hinged. Unused: A Stamp Issued With Gum, But Has None. OG: Original Gum. VLH: Very Lightly Hinged. HR: Hinge Remnant. NGAI: No Gum As Issued. 1-10: Complete Set of 1 to 10. 1/10: Incomplete Set Between 1 and 10. Some stamps could be expertly restored, regum, or repaired. The Retail Value is from the following Catalogs: Scott, Gibbons, Michel, Unitrade, Brookman, JSPA, Chan. 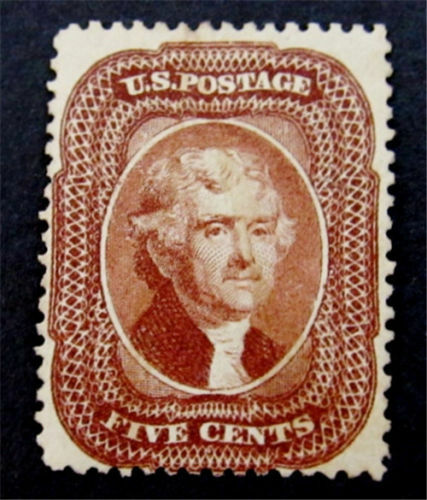 All stamps are shown front and back, so any faults present would be easily visible. However, please feel free to contact us if you have any questions regarding any particular item. $1.99 for shipping fee with tracking number. Orders $150 or more sent by signature required shipment. We recommend you take advantage of this service by combine your orders. We are using Ebay biling system and for combined shipping, overpaid shipping fee will be refunded. New York resident please add 8.875% sales taxes. Outside USA, order under $70 is $1.35 (not insured, will be your risk and loss, if lost by mail). Insured shipping OR order $70-$499 is $14.95 for registered mail and insured (register mail usually take several weeks to arrive). Order $500 or above requires UPS Worldwide Expedited (Estimated $30-50 depends on country). Please contact us if you need to ship high value order by Post Office or by Express mail. We are not responsible for any items lost or stolen in shipment that are not insured. We will be happy to combine multiple lots into one shipment. Bonus: PayPal buyers get complimentary access to nystamps' weekly newsletter.